We are constantly updating our specials with new and great special rates. Click BOOK NOW to see the latest and greatest current offerings to plan your stay. Add a little romance to your day! Included in this package is our ‘love aromatherapy’ spritzer, champagne (option to substitute beer or wine or cbd elexir), greneda chocolate bar, and a botanical sculptural bouquet. This package is available for the entire month of February. 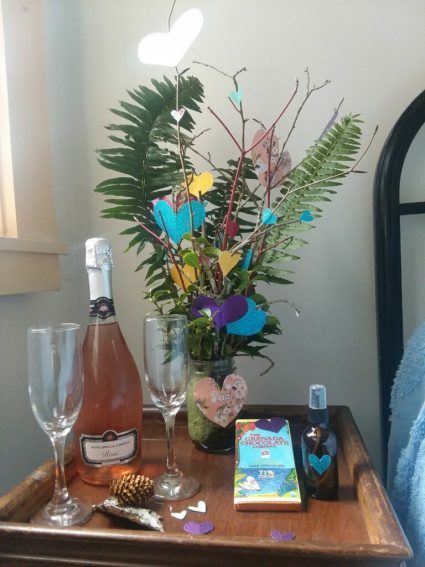 Or book online and select “February is for lovers” rate description to have this package waiting in your room when you arrive! Make it a celebration to remember! This package includes a one-of-a-kind birthday crown, fresh baked sugar cookies, a beautiful bouquet of local flowers, and a celebratory banner. 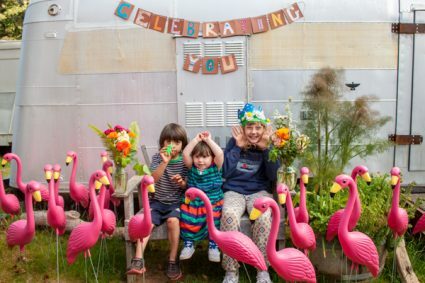 We will also flock your accommodation with pink flamingos. Everything you need for some serious self-care. 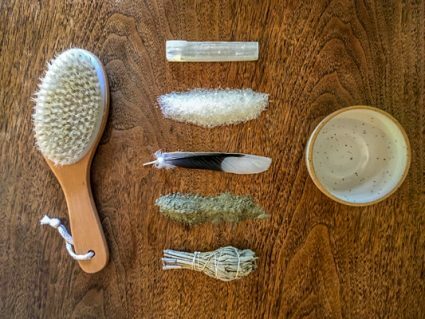 This package includes Epsom soaking salts for foot soaks, a selenite crystal, sage smudge stick, dry brush, sea clay face mask, and a beautiful handmade clay bowl. Add on a 60 minute therapeutic massage at a discounted rate when booked with this package.